Lanai Airport has prepared this Emergency Contingency Plan pursuant to §42301 of the FAA Modernization and Reform Act of 2012. Lanai Airport has prepared this Emergency Contingency Plan pursuant to §42301 of the FAA Modernization and Reform Act of 2012. Questions regarding this plan can be directed to the Airport District Manager . Lanai Airport is filing this plan with the Department of Transportation because (1) it is a commercial airport or (2) this airport may be used by an air carrier described in USC 42301(a)(1) for diversions. We have noted these constraints in Lanai Airport/Facility Directory record. During diversion events Lanai Airport issues NOTAMs regarding its ability to accommodate diverted flights to ensure the safe and efficient operation of the airport and its ability to serve the civil aviation needs of the public during irregular operations events. In the event of diversion or other irregular operations events, aircraft operators should contact the Airport Operations and Maintenance at 808-567-9660 or Maui Dispatch at 808-872-3875 for assistance. Lanai Airport does not own or operate any of the equipment needed to safely deplane passengers from air carrier aircraft and is, therefore, unable on its own to provide for the deplanement of passengers. Additionally, airport personnel are not trained to assist in the deplanement of passengers using equipment owned or operated by air carriers or contract service providers. We will provide a list of airlines who may have the necessary equipment and personnel to safely deplane passengers to airlines as soon as practicable after receiving requests from such airlines experiencing excessive tarmac delays at the contact number listed above. Two gates at Lanai Airport are under common use leases to air carriers and are controlled by the airport. We will direct our common use gate lessees, permittees or users to make gates available to an air carrier seeking to deplane at a gate to the maximum extent practicable. All gates are ground loading; no jet bridges or air stairs are available. Lanai Airport does not have international passenger processing facilities. We will coordinate with local CBP and law enforcement officials to identify suitable areas and procedures for establishing a temporary sterile area into which international passengers on diverted aircraft who have not yet cleared United States Customs and Border Protection can be deplaned. Once these efforts are complete, we will coordinate with local CBP officials to develop procedures that will allow international passengers who have not yet cleared United States Customs and Border Protection to be deplaned into these sterile areas to the extent practicable. 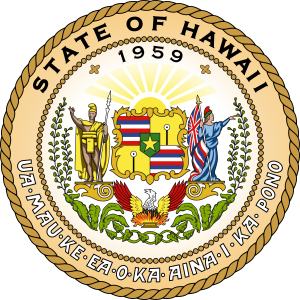 Lanai Airport Emergency Contingency Plan, Dated April 10, 2017, is updated every 5 years and submitted to the U.S. Secretary of Transportation for review and approval.